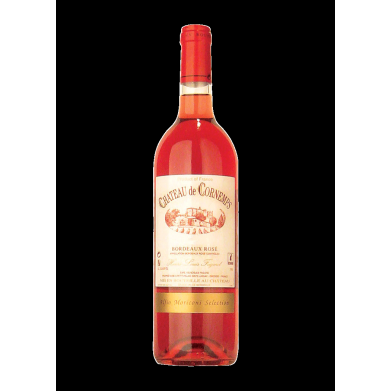 CHATEAU DE CORNEMPS ROSE for only $10.99 in online liquor store. Bordeaux, France- This delightful bottle is made from the classic grapes of Bordeaux: Merlot & Cabernet Sauvignon. A fresh nose hinting at red fruit aromas give way to flavors of strawberries and cherries all packed in a bright, crisp package with a dry finish.